With ANSYS Discovery Live, fluid results like vorticity are instant and provide insight on recirculation zones as well as velocity. Ansys/PR Newswire Photo. PITTSBURGH–The demand for smarter, faster, smaller, and less-expensive products is growing, while making products more complex. Trends like the Internet of Things, smart connected products, and additive manufacturing are merging the physical and digital worlds, creating extraordinary product innovation and exponentially increasing cost and design complexity across the entire product lifecycle. To address these challenges, ANSYS has developed software that it believes will change product engineering for the better. With its commercial release of ANSYS ® Discovery LiveTM, Ansys offers engineers the tools needed to create smarter designs faster and more efficiently, the company said in a press release. According to Ansys, Discovery Live expands Pervasive Engineering SimulationTM – empowering engineers to pose what-if questions upfront in the design process, where most of the product costs are locked in, to rapidly explore thousands of design options and to receive immediate feedback. Discovery Live's instant simulation, tightly coupled with direct geometry modeling in a real-time and intuitive design environment, is said to deliver interactive exploration and rapid product innovation. Now, engineers can immediately examine the impact of their design changes, instead of waiting weeks or months to set up, run, and analyze prototypes. "We had the opportunity to preview ANSYS Discovery Live, and it's obvious this technology is a game changer in providing instantaneous simulation to enable interactive design exploration," said Craig Skinner, chief aerodynamicist, Aston Martin Red Bull Racing, in the release. 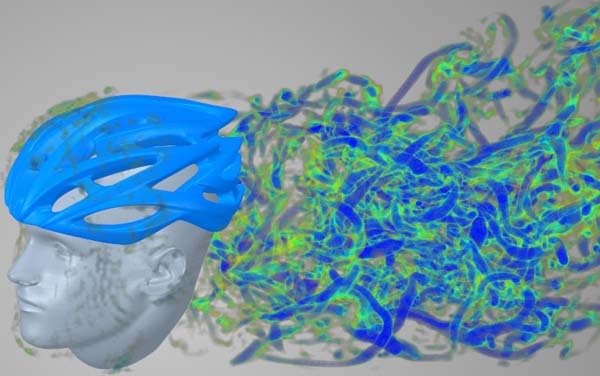 Ansys unveiled Discovery Live's capabilities for instantaneous solving of major physics during a five-month technology preview. The product launch expands on the types of inputs and displays users have at their disposal, increasing fluids, structural, and thermal capabilities. "ANSYS Discovery Live empowers us to run different design scenarios in real time and speeds our development process considerably," said Matt Carlson, vice president of business development, Wibotic, in a statement. "Discovery Live provides us with a sense of confidence before manufacturing and significant time and monetary savings –enabling us to drastically reduce prototyping fees and spend more time perfecting usability and aesthetic design." Ansys (www.ansys.com) brings Discovery Live together with ANSYS AIM® and ANSYS SpaceClaim® into one product family geared toward design engineers. From rapid initial concept exploration and 3D design to more detailed and comprehensive validation, the Discovery product family is said to enable engineers at every stage. "From students to startups to Formula One racing teams, thousands of users downloaded Discovery Live during the technology preview," said Mark Hindsbo, vice president and general manager, Ansys, in the release. "It has been very rewarding to see users tackling the design of almost every type and complexity of product and validating the need for rapid simulation in the early concept development phase. The introduction of the Discovery product family is a milestone in our commitment to Pervasive Engineering Simulation and enabling every engineer to benefit from incorporating high-fidelity insight into their design." Discovery Live is powered by NVIDIA graphics processing units (GPUs) and CUDA parallel computing that provide supercomputing capabilities that are reported to deliver results thousands of times faster than more traditional methods. The real-time design environment revolutionizes the way innovative products are designed and created, Ansys said in the release. "Discovery Live's real-time simultaneous visualization and simulation powered by NVIDIA professional GPUs and CUDA will transform the way engineers work," said Bob Pette, vice president and general manager, professional visualization business unit, NVIDIA. "We're working with ANSYS on further breakthroughs to improve workflows and enhance creativity so designers and engineers around the world can bring better products to market faster." Through real-time digital exploration, Discovery Live provides cost and time savings because it eliminates costly physical prototyping during the development process, the company said. Engineers have the flexibility to experiment with and creatively solve design challenges without risking a product delay or setback. "For 18 years, Rossignol has used ANSYS during the design and development process to produce skis and bindings that are used in major world racing events," said Nicolas Puget, research and innovation manager, Rossignol, in the release. "Performance and reliability of the ski's equipment, coupled with short time-to-market challenges, require technology that speeds the development process without compromise – ANSYS simulation meets these demands. We had the opportunity to preview Discovery Live and saw firsthand the new benefits for our project teams, including engineers, technicians, designers, and marketing product managers. This exciting new technology for real-time simulation will be used for future equipment design, engineering, and manufacturing."